Facebook has become a social space for people to interact, back in the days, we would only add our friends, close friends, and now we begin to expand our circle by adding people we may know. And the truth is, we spend more time online than ever, Dan Loewenherz, realizes that we humans not only spend our time online but we also value human relationships, having said that, he created a simple application, Crush Notifier – the name speaks for itself. Inspired his other widely popular application which has been blocked by Facebook, Breakup Notifier, where Facebook users will receive an e-mail everytime their friends change the relationship status; Crush Notifier became his newborn. Crush Notifier act as a cupid for users that have a secret crush on their Facebook friends, once they send a crush, the other end user will receive a notification where they can then decide if they have a crush back, an e-mail will be send to both users if the crush is mutual. Everyone gets 2 crushes for free, to get more crushes, the user will then have to enter a friend’s e-mail address or use their Facebook Credits. Still feeling a little nervous to let your crush know about the crush? Don’t be, the crush notification that is being send is totally anonymous so your crush won’t know that it came from you unless they crush you back, now that’s where the magic begins. To celebrate the birth of Crush Notifer, Dan Loewenherz is putting all crushes on sale at 50% off until tomorrow night, he also adds that you can change your crushes everyday so why not store the crush credit while they are cheap. 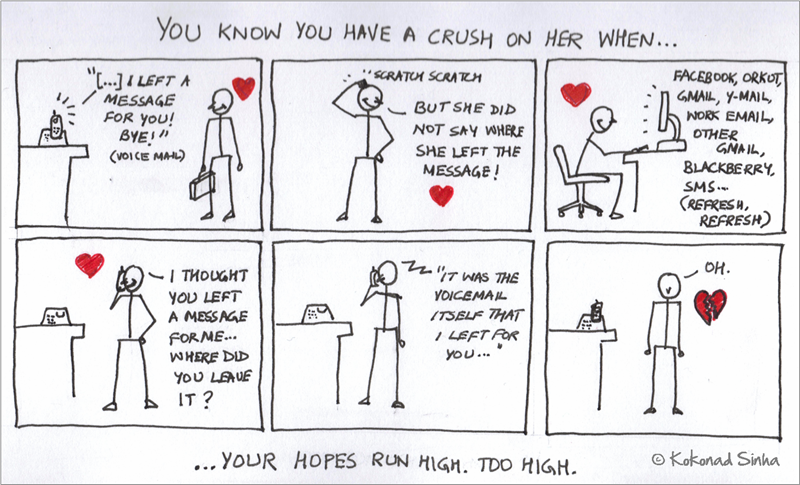 This Crush Notifier reminds me of how some people found their love online, are you one of them? Share your love story!